Indeed I am rejoicing, small details like this is what gets me ingame. I hate unpolished loose ends. I keep spamming them with Submit Bugs and Submit Suggestions. All I can hope for is others doing the same. If enough people cry out about something, they will change it. So thanks to all who uttered their opinion about Sky Lantern not being stoneable. Finally we see it fixed. :) as of 6.2 this pet now appears as rare, rejoice! I just purchased this, now that we're in patch 6.0. Once learned, it shows in my Pet Journal as Uncommon (green), B/B. I crossed my fingers and tried a Flawless Flying Battle-Stone. The Lantern remained green, but the stone was not spent. Bought this one tonight; confirmed; cannot battle and shows up in the pet journal with its name in standard WoW-gold lettering. (Pre 6.2) This pet has been buggy since it first came out. In the pet journal it shows as uncommon quality. When summoned, it appears as common quality. It cannot be stoned to rare, stoned for levels, and may or may not consume stones if you attempt to do so (in 3 attempts I lost 1 stone). It also does not show up in the armory and thus has to be manually added into WCP member collections. This pet may also show up as a spell in the General tab of the toon that bought it. I ran into the same issue as Frisco. Nothing else left to upgrade, but a battle stone won't work on these to upgrade them to rare. Go to your import pets section and there is a "got it" option on that page. For some reason it doesn't see it the same way. So... I have this pet and the website doesn't have the 'I own it' option for me to select here. Anyone else have this problem? Ran out of battle pets to upgrade, and it seems this one can not be upgrade to rare for some reason with a stone. Can anyone confirm? 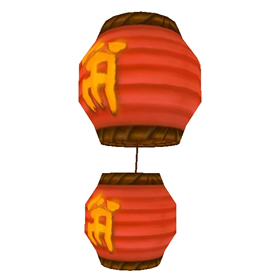 I find it kind of strange that this lantern can't battle, but others (the lunar lanterns and the enchanted lantern) can. I wonder if they'll change this down the road. I think they fixed the showing up as poor on the site. I love that this pet can't battle. Takes me back to the days when some of us did this for the satisfaction of collecting them all. For some reason when you learn this pet it goes into both your pet journal and your General tab. The pet is learned as Uncommon Quality but is showing up on the site as Poor. Mine is showing up as poor quality...??? Was disappointed to learn that not only is this not a battle pet, it's green quality when learned. I thought it would be similar (if not the same) stats as the other three lantern pets. I love the look of this one and would definitely use it over the other three. I hope blizzard changes it. @Almuric: Yes, this is an Armory issue - as of the evening of 9/12 it's not listed there (I checked both before and after I got the pet, it doesn't show up in either owned or unowned). Currently not updating correctly when importing collection, probably an armory bug? Update: Though you should always take anything a GM tells you with a pinch of salt, one did tell me that this pet would be stonable in patch 6.0 so I'll be saving a flying stone to test on patch day. Neat, but 7500 coins and can't battle, that's kinda garbage. Well won't be buying this till last. 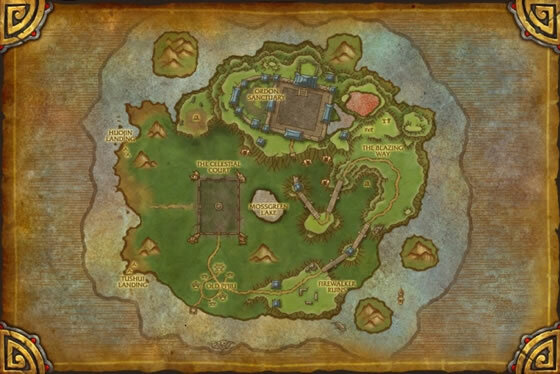 Just imo almost every pet should be able to battle, I can understand the children pets, and actual people pets like guild page, but all these balloons and kites, c'mon, they could have some really cool and interesting moves. A candle inside of the kite heats the air, causing it to rise into the air without the need for wind.